The Municipality of Tryavna occupies a territory of 270 sq.km. Placed along the northern slopes of the Tryavna Balkan Mountain and Fore-Balkans. The relief is diverse - from mountain to river valleys, hills and gorges. The elevation varies from 380 m to 1489 m from the sea level. A substantial part of its territory, as much as 130 sq. km, is covered mainly with oak and beech forests. The farming land is 126 sq. km or 47%, half of which comprises of meadows and pastures. The town lies halfway the Sofia-Varna route (250 km. away from each), 170 km. from Plovdiv, 219 km. from Bourgas and 130 km. from Rouse. The railway line linking North to South Bulgaria runs trough it. Daily trains and buses connect Tryavna with Sofia and Gabrovo. The town of Tryavna first became a regional centre as early as XVIII century although earlier records, which indicate human settlement in Tryavna can be traced back to Thracian times. By the end of the 19th century, Tryavna had become the region’s main cultural and industrial centre and was heavily involved in the development of crafts during the Bulgarian Renaissance period.This resulted not only to economic prosperity, but also to the creation of theTryavna School - one Bulgaria’s oldest institutions of Art Tradition. Since that time, the work of Tryavna artists has become popular throughout the Ottoman Empire, Romania, Serbia and Russia. 1920’s in Tryavna and Plachkovtsi and today there are a total of 1250 beds. 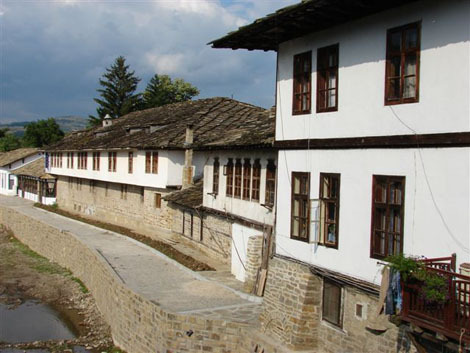 Tryavna also enjoys a moderate and healthy climate, (cool summers and mild winters) which resulted in a Sanatorium for Lung and Respiratory diseases being built in 1944. 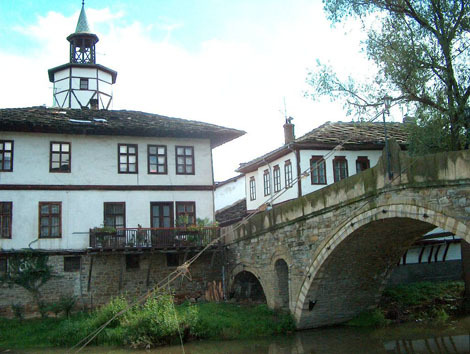 The historical and architectural reservation in Tryavna is among its main attractions. Some of the best examples of buildings from the Bulgarian Renaissance period have been well preserved. The seven museum collections contain unique pieces of art from the late medieval period, such as icons and woodcarvings.The town of Tryavna has preserved its old town square, the only one left in the country, which has been proclaimed as a Monument of Architecture. Municipality of Tryavna has been changing its outlook for the last years trying to turn into a tourist tow. The town administration was successful in its efforts to make improvements in several different directions.Firstly, it has improved and developed the infrastructure. The water supply problem that the town has been having for many years became a priority of the state. Many streets have been reconstructed. The same is true for the town connection with the Pass of the Republic. The road to the village of Skorcite has been renovated thus making it possible for the tourists to visit an authentic Balkan settlement with a unique architecture and magnificent nature. Mobile telephone coverage has been provided for the area. Several new hotels have been opened. They offer between 20 and 120 beds. Several Public buildings and museum - houses have been renovated due to The Beautiful Bulgaria Project. Several Public buildings and museum - houses have been renovated due to The Beautiful Bulgaria Project. 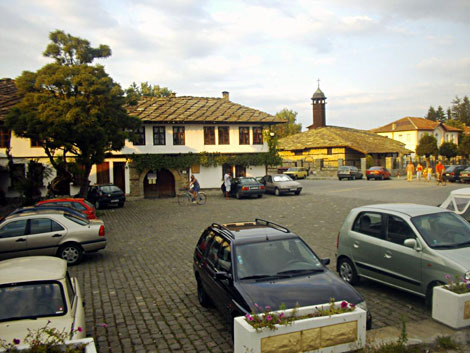 The Old Square in Tryavna has been reconstructed as a result of the project. Green areas and parks have been created. The facade of the church in the village of Enchovci has been totally renovated. The church is a monument of culture with a national importance. The town administration occupies a new building which has been completed for that purpose. The municipality applied and has been selected for several ecological projects. 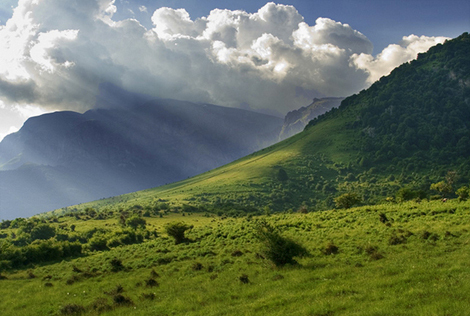 It has also initiated the creation of the BULGARKA National Park. It will be ratified in the near future. A new Bulgarian-Dutch project has been developed in terms of the tourist orientation of the area. The project is called Tryavna in yellow, red and blue. The project will search for funding through the structures of the European Union.